Welcome back! 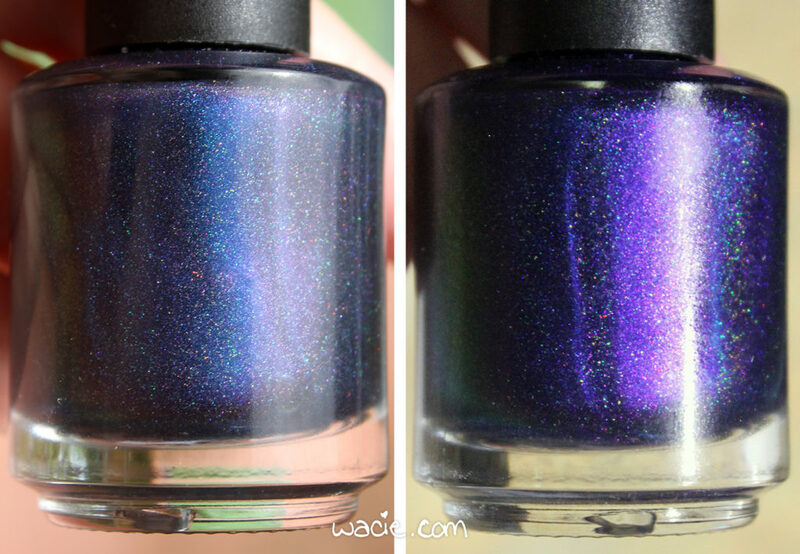 This Swatch Sunday is all about my first-ever polish from The Polish Bar, Midnight Kiss! 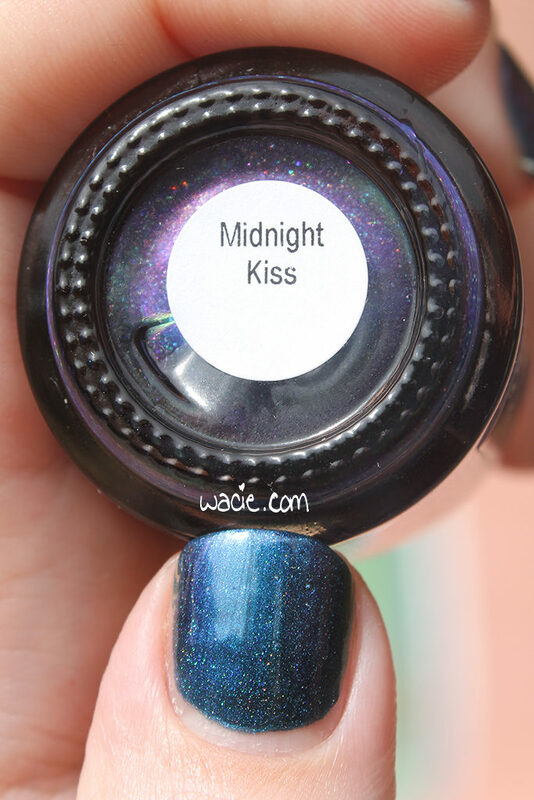 Midnight Kiss was an Addicted to Holos box exclusive, and it’s the whole reason I became acquainted with this brand. 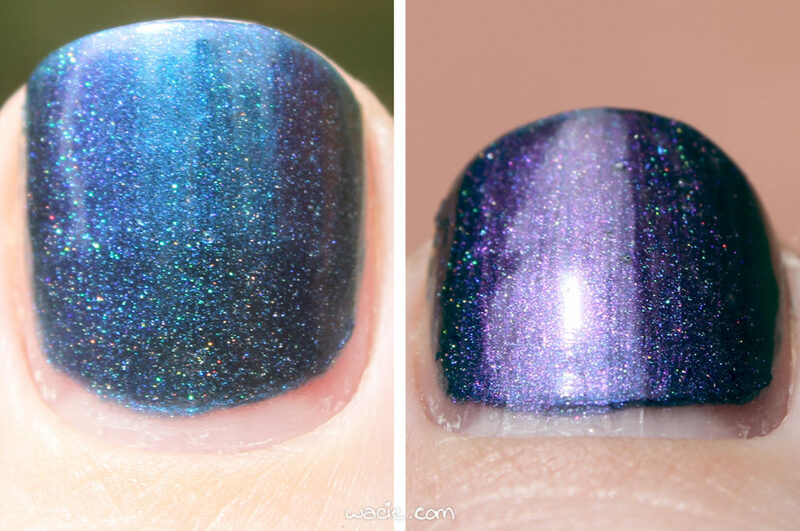 In these photos, I’m wearing three coats of Midnight Kiss with one coat of Seche Vite top coat. Photos were taken outdoors in mostly cloudy conditions. The photo on the left was taken outdoors, the photo on the right indoors. 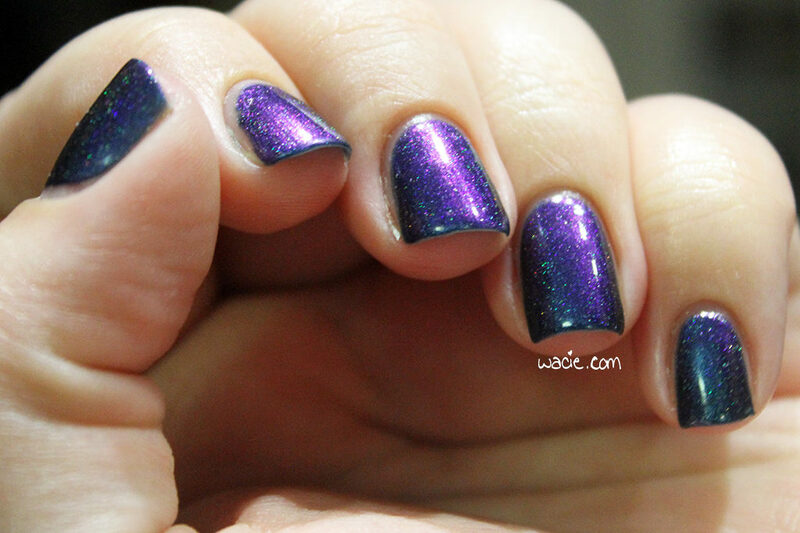 Midnight Kiss is a deep blue holo with blue-to-purple shifting pigment. Application was good; while the product consistency is a good thickness, the first coat went on a bit thin. Opacity and evenness improved with additional coats. 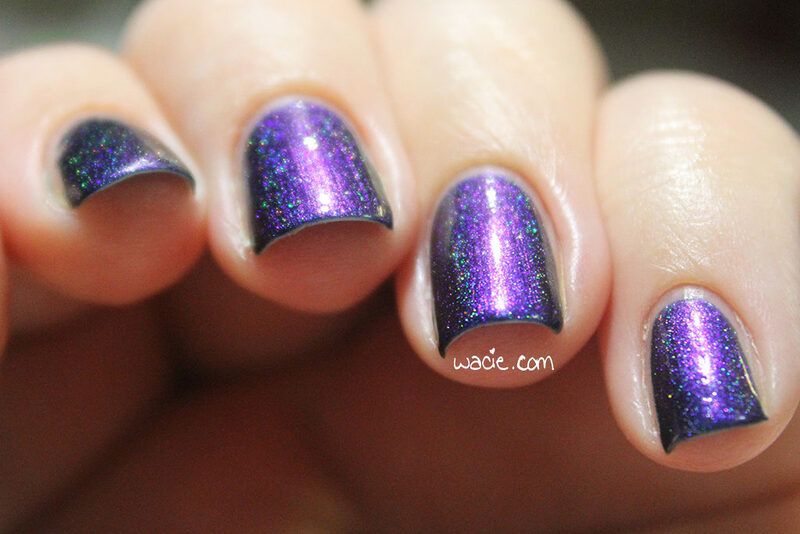 The holo effect is subtle in this polish, taking a backseat to the shift. The holo shows up best in the sunlight, and the shift is most intense indoors. The polish dried quickly and with a semi-glossy finish; I used top coat for extra shine and sparkle. 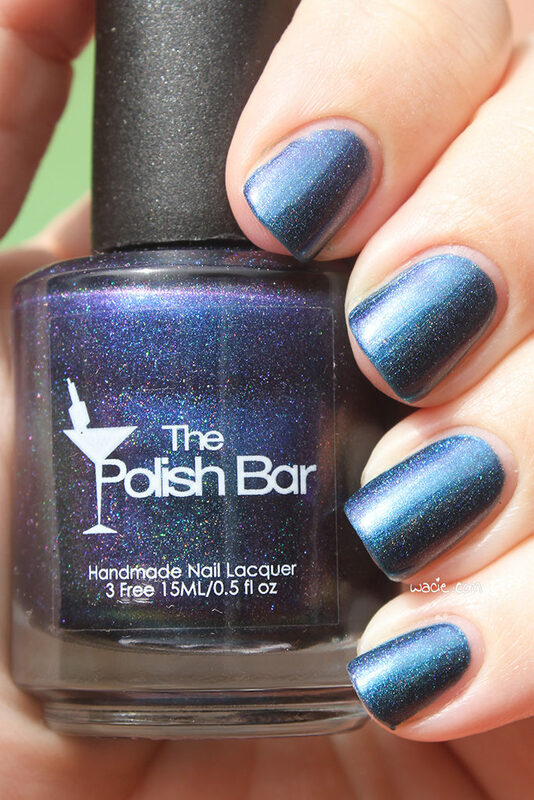 As I mentioned, this is my introduction to The Polish Bar, and I’m super impressed with it. This polish is just so fun to wear. As with any shift, this one is perfect for circling my hands around to watch the colors change. 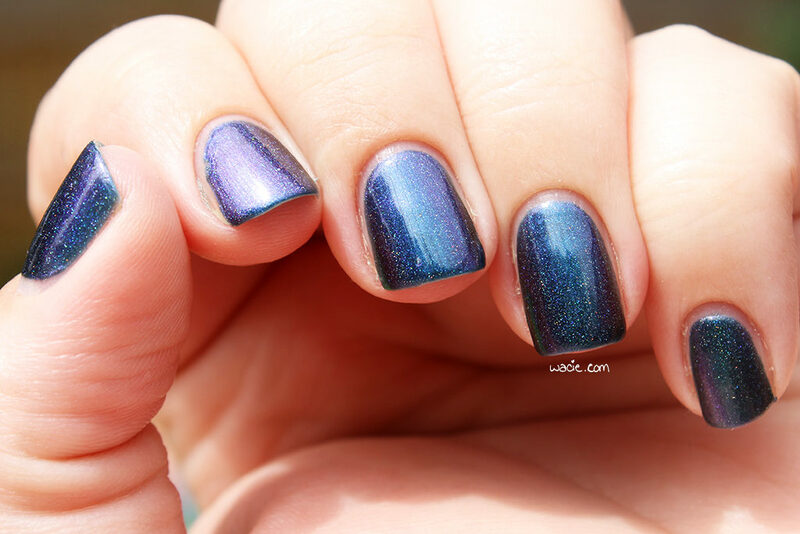 The color is already deep and mysterious, and adding the holo effect just makes it even more stunning. The shift looks best indoors, so here are some photos taken under LED lights. This shift is GOOD. 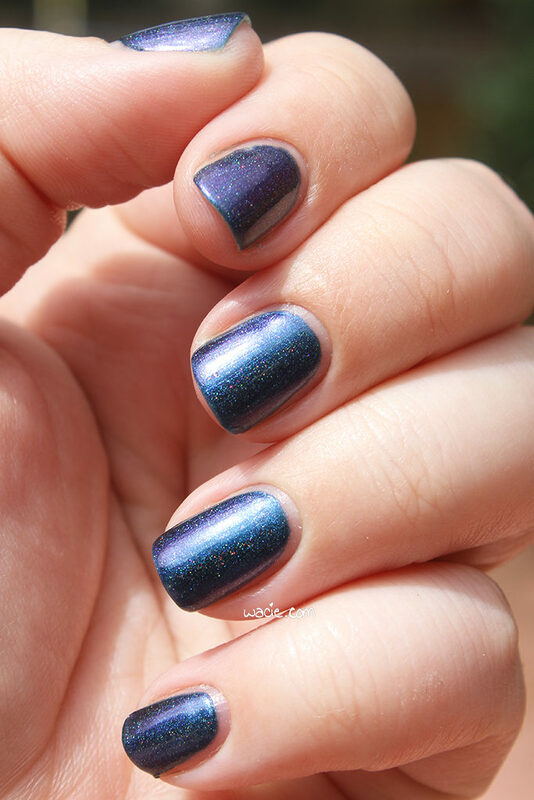 Midnight Kiss was a box-exclusive polish and is no longer made by The Polish Bar. Other Polish Bar polishes are available from their etsy shop.